Welcome back to the Fab Friday challenge over at the Fab Friday Challenge Blog! This week we have a sketch challenge. I’m steadily working my way through all the new stamps I bought recently, so I grabbed Penny Black Stack O’ Lanterns for this sketch. I can’t resist those cute little hedgies, and I haven’t made a Halloween card yet this year! STINKIN’ CUTE!!! I stamped the hedgie stamp and colored it with Copics. I originally did this as a daylight scene, but I deepened the blue of the background to make it a night scene instead and added some stars with a white gel pen. This is a bit more embellished than I have been doing lately! I added some May Arts black webbing ribbon that I had in the stash for the leaf shapes that come out behind the oval. For the greeting, I stamped using a greeting from another Penny Black set, Halloween Treat. To cut it out, I used the new Sentiment Labels dies from Simon Says Stamp. 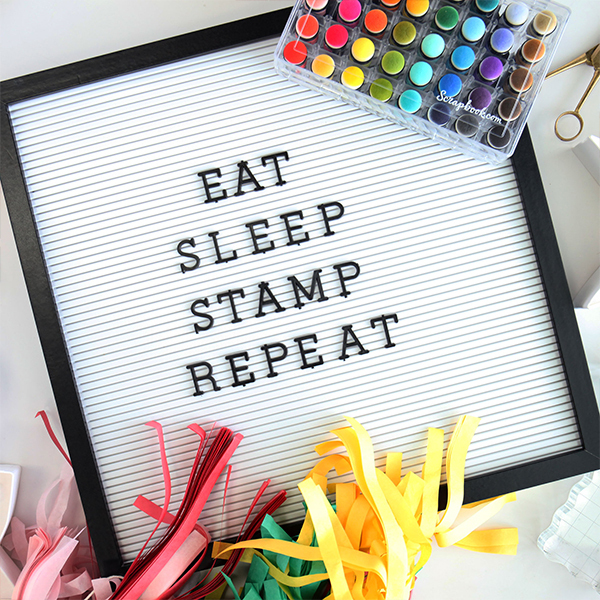 I love these because I’m always looking for the perfect banner die, and these dies allow me to create any size with either one of two fishtail ends. I can’t believe it’s almost October. I’m ready though, because I have Penny Black Stack O’ Lanterns to make lots of Halloween cards! This card seriously rocks my world. I love how well it’s saturated with colour.